Posted in Explore, Film, Food, Fun	by C.
One of the things that I’ve always wanted to do was go to a Cinespia screening at the Hollywood Forever Cemetery. 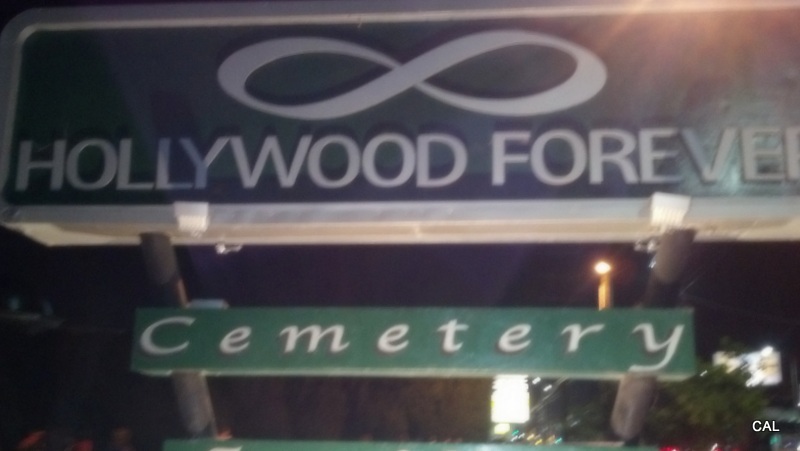 Only in LA is there an organization that actually screens films in a cemetery, and only in LA is there a line 2 miles long to get in. After a rather hectic day of people canceling and flaking for whatever reason (some valid, some not so valid) I finally made it. A stint in the line that wrapped around the block full of largely 20 and 30-somethings down Santa Monica Boulevard was a sight to see. People camped out in lawn chairs, holding picnic baskets, pillows, blankets, coolers, and lots of Trader Joe’s bags full of goodies from the store. By the time I arrived, the line was already moving so it didn’t take much time to get into the cemetery gates and meet the person holding our spot. Part of the fun was chatting and people watching as the sun set and the darkness took over. 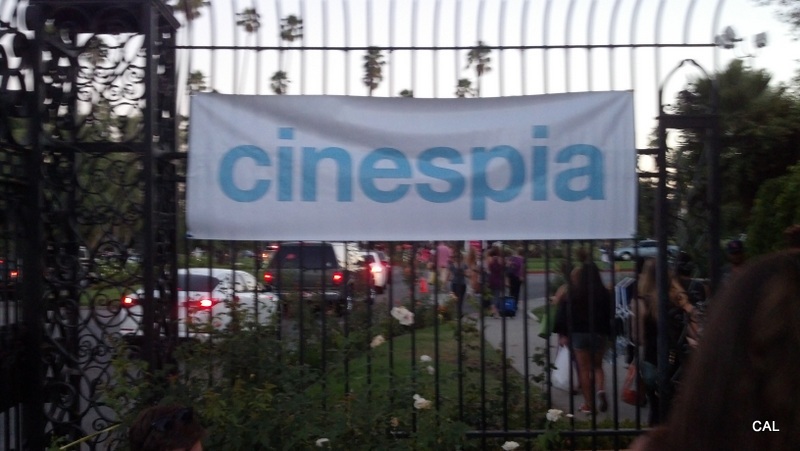 A huge perk of Cinespia is that you can pretty much bring whatever you want. One of the girls in our group brought some wine to share, and some of the people camped around us brought candles, which I thought was extra classy. 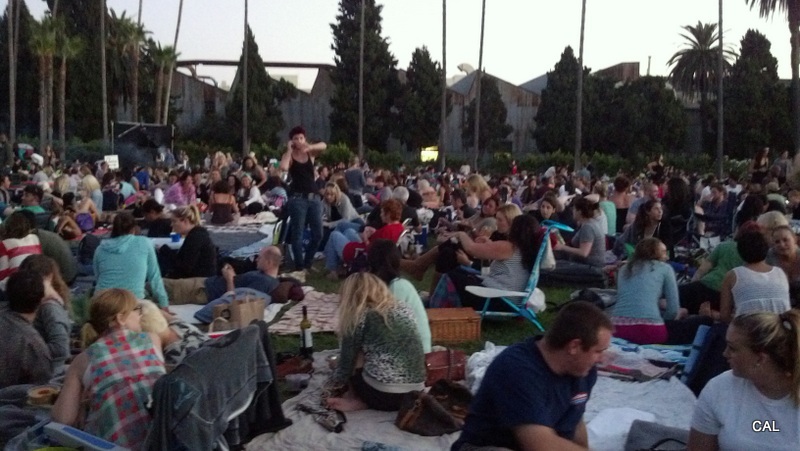 Around 8:30 the night’s film, Dirty Dancing, started to mass applause. The projection was crisp, the night air warm, and the grass a bit damp. I’d suggest bringing a low lawn chair and a thicker blanket, as well as a sweater to this one. For the next 2 hours, I laughed and sang and laughed some more as people commented next to us on certain scenes, or the audience clapped at classic lines from the film (“Nobody puts Baby in a corner”). I even saw my first ever shooting star! (Hey, I live in LA – we don’t see these often.) It flew by just above the screen and everyone gave a huge cheer! It was a great time to say the least, and a true testament to the endurance of cinema. Only in the movies can you have a 1987 film, set in 1963, with 1987 sounding music; and have thousands sitting near graveyards in 2012 to watch it. The best part, of course, was the big scene at the end of the film and the memorable dance between Johnny and Baby. The crowd sang and clapped and some even danced. The funny thing is that as I got into my car, I had an itch to play the big song from the film’s finale. I fished out my iPod and 2 continuous plays of “I Had the Time of My Life” later, I was home. The Cinespia season is wrapping up soon, but if you have some time over the next 3 Saturday nights, I highly encourage you to go. Just plan ahead and expect a huge gathering.